Or at least attempting to! Today is a Bank Holiday Monday here in the UK. This generally means that certain things are pretty much guaranteed to happen. I will sleep in further than expected (Alarm set for 7. Woke up at 8.45!). Breakfast will actually wind up being brunch. Dinner will be early, and may involve wine. Oh, and I’ll look around the house and see oh so many things I want to tidy/de-clutter/sort. The problem is I swing violently from Hyperbole and a Half’s ‘CLEAN ALL THE THINGS’ to ‘Meh’ when it comes to tidying. 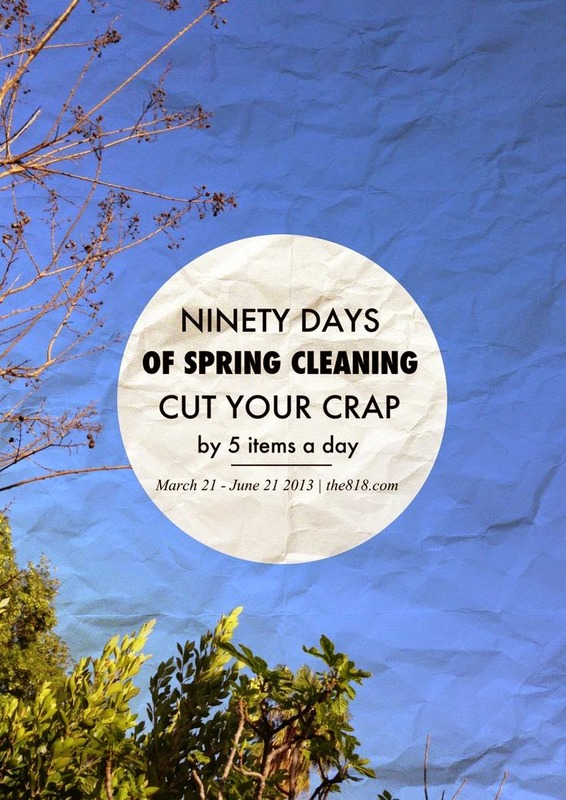 However, I was excited when I found the above plan for decluttering. A lot of blogs and books are looking for hours and hours for a few weeks, and that doesn’t always work with my schedule. But five things a day? That I think (and hope!) I can do, and the ninety days things sits nicely as it’ll have the place smarter before the wedding. Time to start making a few piles for the charity shop!